In today’s chat, Marco Ciappelli and I connect with Patrick Heim, Operating Partner and Chief Information Security Officer for ClearSky Ventures, and Richard Seiersen, author, startup advisor and former LendingClub CISO. Both Patrick and Richard are judges for this year’s Innovation Sandbox Contest at RSA Conference 2019 and we wanted to learn more about the program, what types of companies were submitting as contestants, and what innovation trends they are seeing in the market. Patrick and Richard also talk about some of the non-obvious benefits that can be extracted by attendees. The innovation sandbox has always been one of my favorite sessions and this year's event should treat us to some new innovations and conversations that sit at the intersection of IT security and society. Join us now to listen to our chat with Patrick and Richard. 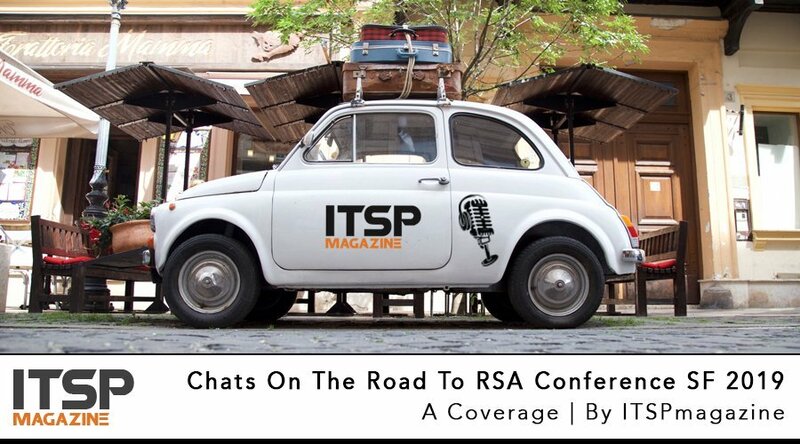 Also mentioned in this podcast: the RSAC Launch Pad. Patrick Heim is a senior executive with over two decades working in security spanning Fortune 500 enterprises, cloud providers as well as early stage security technology companies. He joined ClearSky, a venture fund focused on security investments in early 2017. Prior to joining ClearSky, Patrick was Head of Trust and Security at Dropbox. He also served as Senior Vice President and Chief Trust Officer at Salesforce.com. Patrick has held Chief Information Security Officer roles at Kaiser Permanente and McKesson Corporation. In the startup world, he has served as Vice President and Chief Technology Officer at eNetSecure (a subsidiary of Applied Signal Technologies/Raytheon). He has also previously held senior positions at nCircle and Ernst & Young. Patrick holds a B.S. from Indiana University in marketing as well as an MBA in international business/finance from the University of South Carolina. He currently serves as a director for Preempt Security and Ticto and has previously served on the boards of Cylance, Solebit, and BigID. Richard Seiersen is a CISO, author and startup advisor. He was most recently CISO/SVP at LendingClub, previously CISO/VP Trust Twilio and VP Cybersecurity & Privacy GE Healthcare. He is the co-author of “How To Measure Anything In Cybersecurity Risk” (Wiley 2016) and working on his second book “The Metrics Manifesto: Confronting Security With Data” (Wiley 2019). His first book has the distinction of being the only security book that is required reading for the society of actuaries exam. He also is active in security education and is an instructor with Carnegie Mellon’s Software Engineering Institute training DoD and industry security leaders on security metrics. He’s also a faculty member with the Institute for Applied Information Security (IANS) supporting their community of CISOs and teams on metrics, risk and strategy. Lastly, Richard is an active security startup advisor.